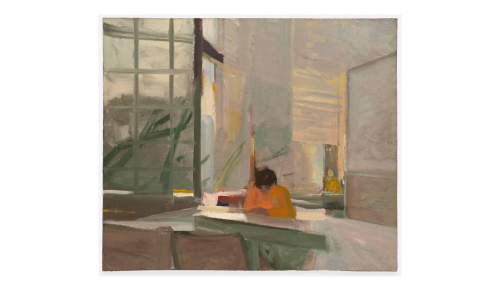 Elmer Bischoff, Orange Sweater, 1955, oil on canvas, 48 1/2 x 57 inches, Collection of SFMoMA © Estate of Elmer Bischoff. Elmer Bischoff's Orange Sweater and Joan Brown's Green Bowl are included in the exhibition Wayne Thiebaud: Artist's Choice at the San Francisco Museum of Modern Art. For this exhibition, Thiebaud delved deep into the museum’s storage vault. His choices include both old friends and new discoveries by European Modernists. Wayne Thiebaud: Artist's Choice will be on view through March 10, 2019. Thiebaud describes Orange Sweater and Green Bowl in an interview the San Francisco Chronicle, available here.